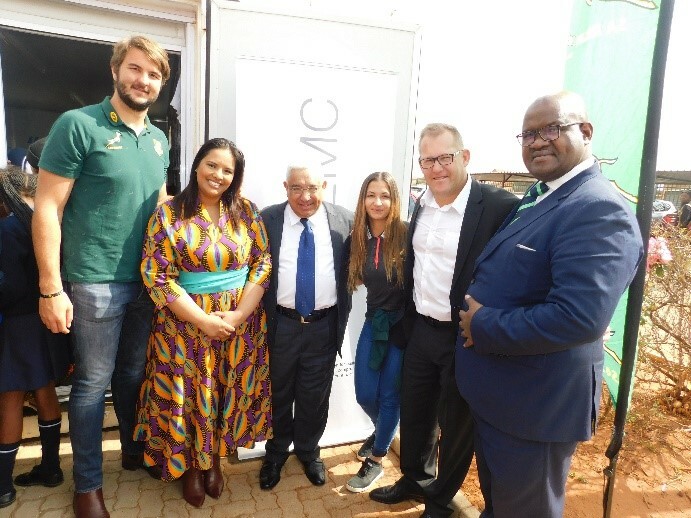 We all love the Boks and so when they engaged with us to talk CSI we were super pumped. In our discussion we saw an opportunity to help them supersize their current paper-based literacy initiatives by taking it from ‘paper to pc’. 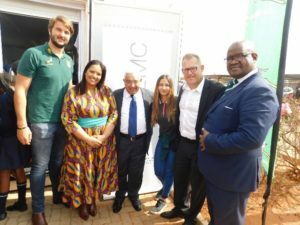 On the 8th of August 2018 we launched the initiative at our Solar learning lab which is in Emdeni Secondary School. 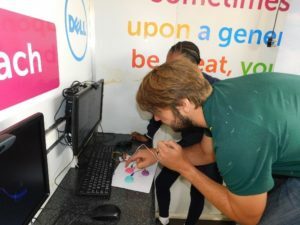 The learners appreciated the time spent participating in a coding challenge with the president of SARU, Mark Alexander and Springboks Lood De Jager and Chane Sadler.